Summary (from the back of the book): A free-spirited and rebllious Muslim-American of Indo-Pakistani descent, willful, intelligent Saira Qader rejected the constricting notions of family, duty, obligation, and fate, choosing instead to become a journalist, making the world her home. But when tragedy strikes, throwing Saira's life into turmoil, the woman who circled the globe to uncover the details of other lives must confront the truths of her own. In need of understanding, she looks to the strories of those who cam before--her grandparents, a beloved aunt, her mother and father. As Saira discovers the hope, pain, joy, and passion that defined their lives, she begins to face what she never wanted to admit: that choice is not always our own, and that faith is not merely an intellectual preference. Review: I enjoyed this book from the very start, but as I read more and more I grew to love it! 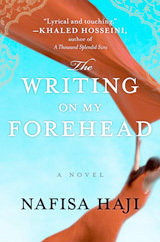 With each chapter I felt pulled into Saira's life and into her journey, both physical and emotional. The opening of this book resonated with me as Saira visits her relatives in Pakistan. My ex-husband's family lives in Oman and I have visited a few times (some even since our divorce). The author hit on what these visits are like so well: lots of delicious food; lots of doting/interfering relatives; decisions made for you without consultation; and lots of visiting of the old ladies. I also liked that the history of India and Pakistan were intertwined within the story of Saira's family, showing that it is complicated and provides ongoing struggles for families who have relatives living in both countries. On the more personal side of the novel is Saira and her family. The author captured the love, the conflicts, the misunderstandings, and the guilt so well. I felt as if I really knew this family and with each chapter I came to know them even more as their back stories and the current story were revealed. I loved Saira's relationship with her great aunt, Big Nanima! Big Nanima lived a life that most in her generation and culture couldn't understand (single and working), and she was the most understanding and supportive of Saira's life. The best comments I can provide about this book are that it pulls you along, giving little bits in each chapter that make you want to read on. I read this for one of my book groups and I hope the other women enjoy it as much as I did! Thank you for sharing this book review with us. I am always looking for book recommendations for my book club abd this one looks like something most would want to read. Sounds like it would work for Women Unbound, too. You are becoming more and more a source of books added to my TBR list -- I've judy noe put this one on hold at my library. Oooh.. glad you loved this!! It's on my must-read shelf and I really can't wait to get hold of this! I hadn't heard of this one before but it sounds like a really good novel. Another for the wishlist. Thanks for the great review. Bonnie--oh, I can't believe I didn't apply it to Women Unbound. I'll add that to the challenge postings. Thanks! Eva, Aths, and Darlene--I had this on my TBR and book group pushed it to the top; I am really glad they did! I love the title of this book. Your review makes me want to read it. I bet it really came alive for you since you have visited there with family. Thanks for a great review. Tea--having traveled to the Middle East definitely made this book come alive for me, but even if you haven't been there it's a great read.